At Red Pill we are performance outcome driven – at both the individual and organisational level. Our aim is to assist you in achieving your outcomes faster, more effectively and in a sustainable way! Performance outcomes are the focus of all our programs and typically vary from person to person and business to business. In order to meet your needs, the Red Pill team is highly experienced in the complementary areas of executive coaching, high performance team building, mentoring, facilitation and guided learning. Moreover, our individual senior corporate expertise provides the backdrop against which we can gauge the appropriateness of each of these for you. We have led and run businesses and business units; had responsibility for asset management, including people; have profit and loss accountability; investment and risk management responsibilities. We talk the same language as our clients. Our tailored programs often include team and management challenges and competencies around leadership, communication, influence, negotiation, people management, self management, emotional intelligence and more widely, the areas of strategic and business management. Our panel of coaches are first and foremost, seasoned business executives, each with distinguished careers in challenging commercial environments, who have undertaken extensive training in all aspects of Executive Coaching, Communication and contemporary Adult Learning techniques. Coaching is the interactive process that unlocks potential. The real answers to achieving and sustaining high performance lie inside people. Coaching helps clients find from within themselves their own particular solutions, rather than impose on them external solutions which often may not satisfy their needs. It is this ability to facilitate our clients own self-directed learning that delivers real performance and sustainability. Red Pill provides professional coaching to Executives and Managers in order to tap into their individual and team potential, thereby establishing sustained improvements in individual effectiveness, motivation and wellbeing. As an individual begins to realize more of their potential in their work, and often home environment, these changes result in bottom line improvement, relationship enhancements and an increased level of initiative and creative solutions for the business. 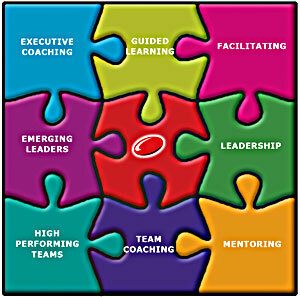 Red Pill Performance Consultants offer the design and implementation of a wide range of interrelated performance programs ranging from one-to-one coaching, through to group and team workshops to seminar and conference presentations. At Red Pill Performance Consultants, we strongly subscribe to the importance of “evidence-based coaching” as a platform for establishing a robust set of coaching methodologies. This involves the conscientious use of best current knowledge from the fields of Behavioural Sciences, Philosophy, Adult Learning and Business/Economics in making decisions about how to deliver coaching to clients and in the designing and teaching of coaching training programs. Our core coaching ideologies and interventions, our training material and methodologies derive from a well established and shared body of knowledge. In addition to this, we like to think that they are also expertly executed! Finally, we integrate our programs with leading edge learning through our own research and experience and links we have developed with on and offshore coaching and university education providers.